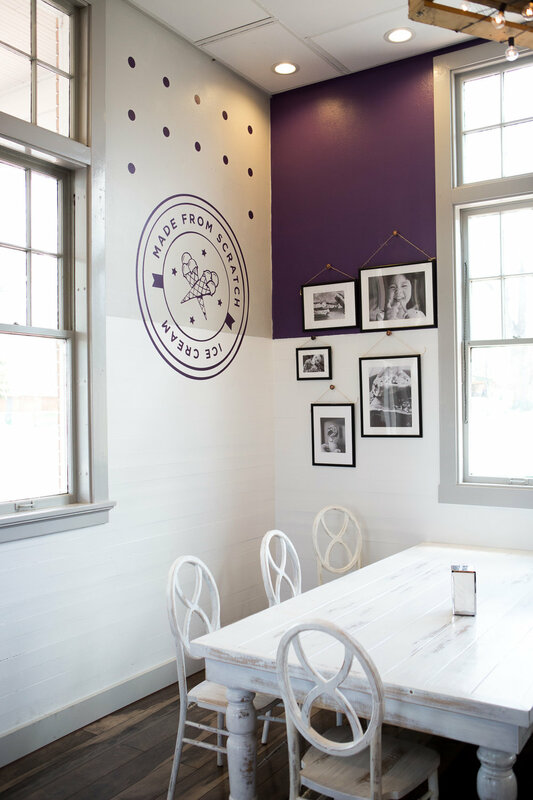 Palette Bakery serves handcrafted all natural ice cream with a variety of topping selections. There are sodas and scrumptious baked goods for purchase as well. Rainbow Sign and Design took the store owners vision of the business and made it a reality, through the alluring designs and professional craftsmanship. Palette Bakery is a newer bakery, but you would not guess that based on their substantial customer base and considerable Yelp reviews. The bakery's design elements have brought in many customers. The owner stated, "the customers tell me that they love the decor, it is darling and welcoming". The design for the bakery is based on their branding. Rainbow Sign and Design rebranded their logo and design elements, using intriguing homophones. 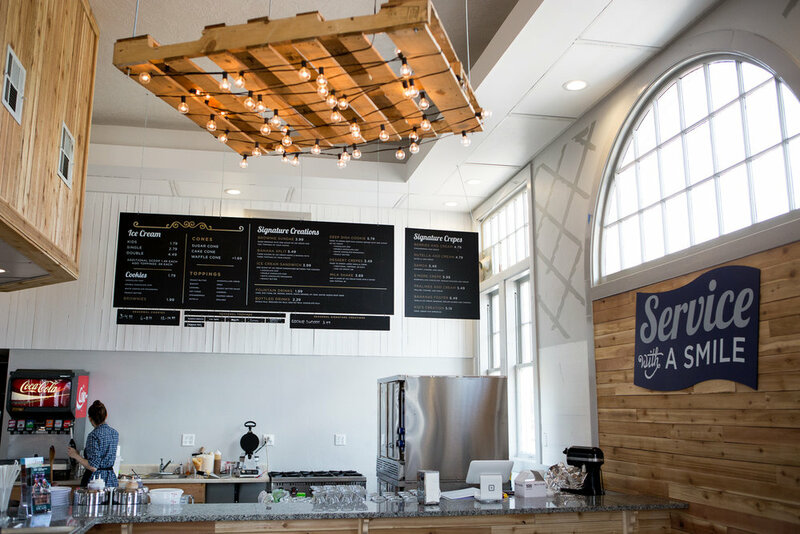 For example, there are lighting fixtures in the bakery that incorporate pallets. Additionally, a paint palette is integrated into their logo. The bakery's signage was produced with vinyl, Dibond, and Sintra. The pallet lighting was designed by Rainbow Sign and Design. However, the customer manufactured the lighting based on the derived concepts.